Went for a dive at Cape Zampa last weekend. Zampa is one of my favorite dive locations, but you should only enter when the sea’s calm. Otherwise you can find yourself being dashed on the rocks or dragged by strong currents out to sea. It also gets deep very fast. You step off the rocky shoreline and almost immediately there is more than 50 meters of water beneath you. My dive buddy Hiroshi thought that we might be able to see Pygmy Sea Horses on the fan corals so we dropped down to a large group of fan corals at 40 meters. 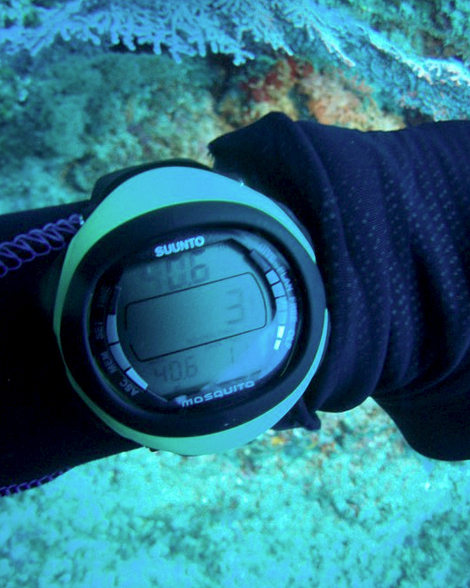 My watch blinked to tell me I was 60 centimeters below the limit, and more importantly that I had a maximum of 3 minutes at that depth. Our search for pygmy sea horses was therefore rapid, and not surprisingly, unsuccessful. We then slowly ascended before having a long leisurely safety stop at 5 meters. 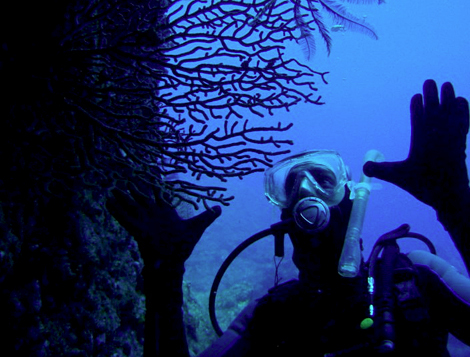 I don’t take a camera with me when diving. There’s the hassle and expense of housings, combined with the fact that I like being able to simply relax while underwater. I let Hiroshi do the shooting and I just mug for the pictures. 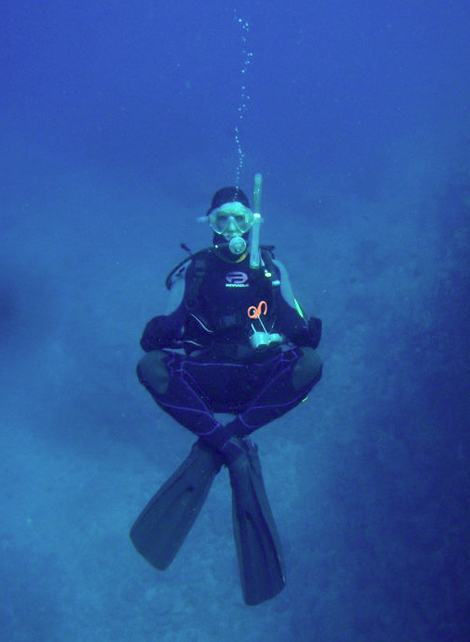 Zen and the Art of Scuba Diving (Photo by Hiroshi) Check out my dandy underwater scissors! I always wondered why I didn’t see more underwater pictures from you since you like to take photos, and dive. I also like the relaxation that I get from being in the water. I’m just a snorkeler for now, but I would like to scuba in the future. Thanks for sharing these pictures even if they didn’t include any sea horses.